Beautiful Design For A Great First Impression! You never get a second chance to make a great first impression. That’s why Clear Choice Energy Solutions Entry Doors are thoughtfully designed with enhanced details to greet you and your guests with classic elegance and style. Our doors our manufactured by the top manufacturers and available exclusively through Clear Choice Energy Solutions. Each one of our entry systems features top quality construction, made with the finest materials. Your security and safety is one of our main concerns. That’s why our entry doors utilize only the most respected names in hardware like Schlage handle sets and locking mechanisms. Today, energy efficiency is more important than ever. 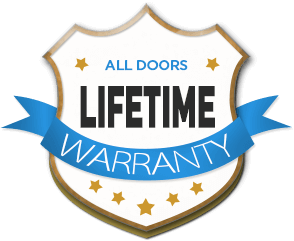 That’s why most all of our entry doors are ENERFY STAR qualified. Choosing ENERGY STAR products for your home helps save on heating and cooling costs year round, as well as providing you with a more comfortable living space and added appraisal value to your home. Clear Choice Energy Solutions offers an endless selection of styles and colors to choose from. Call us to start creating your new Entry Door today!